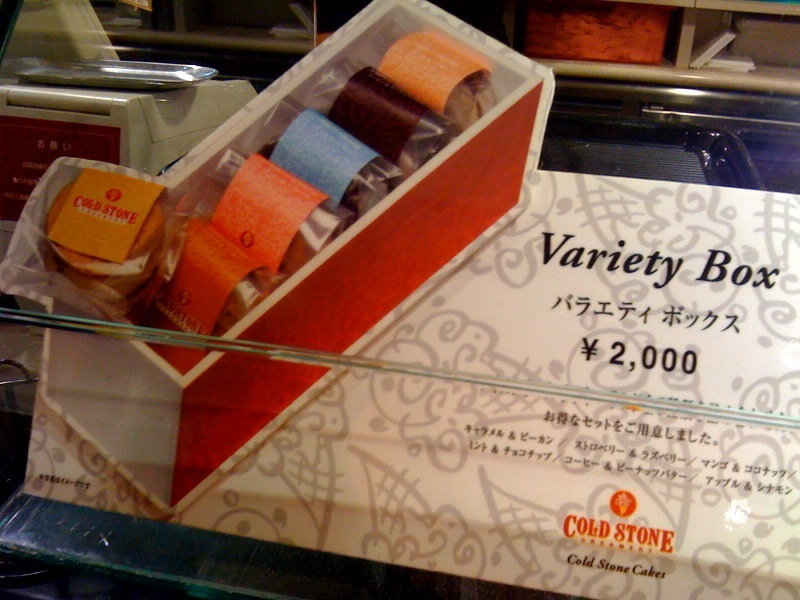 A variety of nicely wrapped cakes for sale as a present. $1 tip. Here in Japan, partially because there’s no tipping here, they sing while they scoop – no matter what. The two lovely women sang in English, a tune we knew, and the kids, my husband and I made appropriate appreciation noises. But we really loved it. It seemed so genuine. They wanted to please us, and weren’t just doing anything for the money. I love the Japanese orientation toward service. It’s truly lovely. 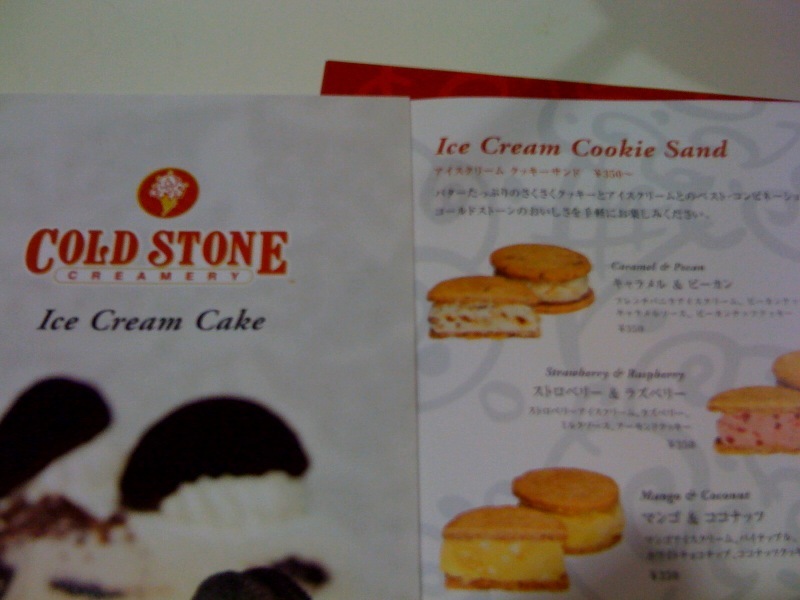 Regarding the ice-cream product, it’s also different than in the U.S. The Japanese palate would never withstand the overwhelming sweetness that Americans adore in their ice-cream mix-ins. 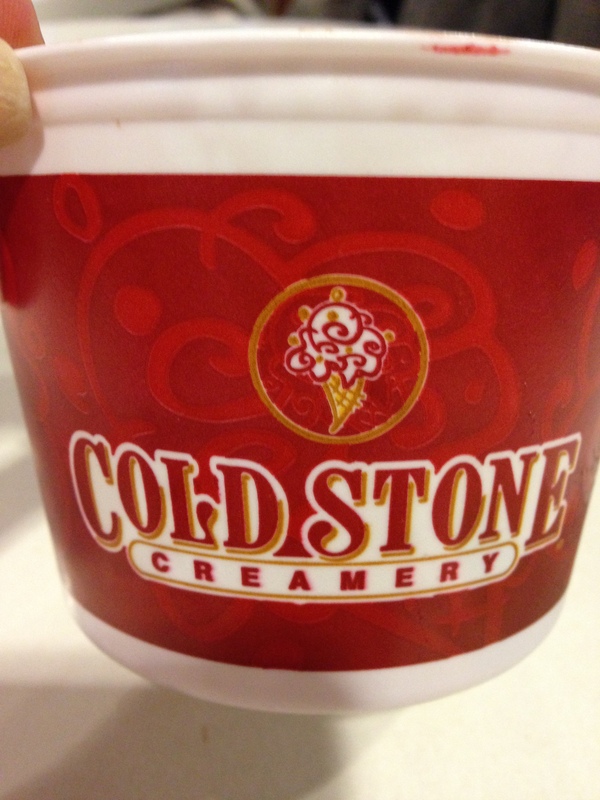 So the ice cream itself is not as sweet and the mix-ins are less plentiful, but no less delicious. Of course their idea of a brownie is again, less sweet than an American idea, but m&m’s are m&m’s for goodness’ sake! 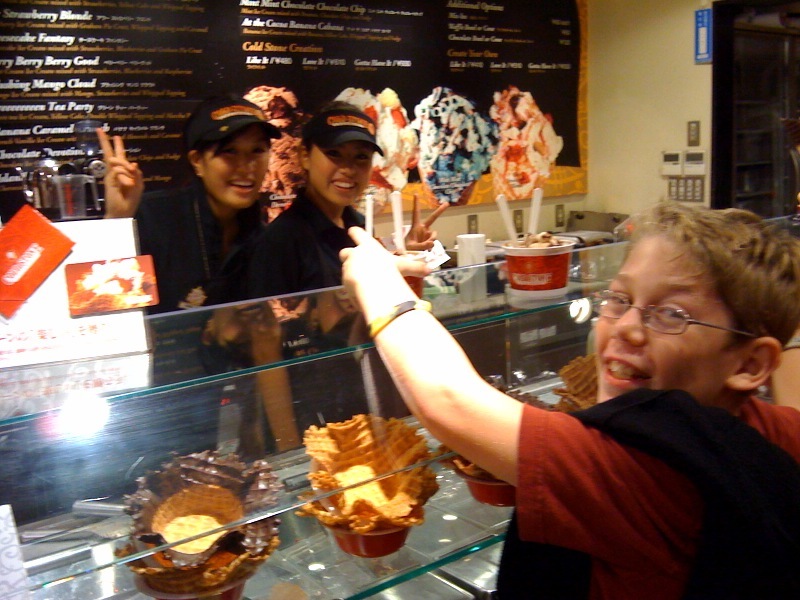 My son, Bailey, loved it - from the first scoop to the song to the eating! All in all it was a successful and yummy outing. If you’re in the Roppongi area, I’d highly recommend it for a treat.